NEW: Yoga for families who have a child with additional needs. Details coming soon of our 6 week course in July 2019 at MAZCC co-hosted with Emily (Autumn Blossoms). 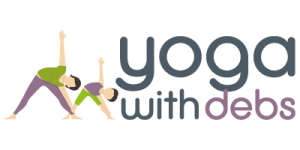 I offer yoga within the school environment teaching children with ASD and attention challenges, as well as in 1-2-1 settings and within my children’s classes. For more information please contact me. Everyone is special. Regardless of abilities, appearance, culture, gender, race or the assumptions society has placed on us. Having completed training with Special Needs Yoga my understanding is that we can help take children out of their stressed state and help them move into a relaxed state that creates the optimum condition and possibility for positive change. Simply starting by meeting every child with a pure intention to create a practice that encourages them to reach their fullest potential and celebrating the strength within each child we work from there. Movement Based Learning techniques are incorporated into the yoga sessions with the children. Movement-based learning has come to be known in the neurobiological field as any brain-based learning that stimulates the growth of neural pathways through movement of the body. Through observation of postural and behavioral cues develop a movement program that will enhance a more integrated way of learning. This will allow for the child to accomplish his goals in life with greater ease – the goal may be walking, talking, self-feeding, reading with ease, organizing classroom tasks, relating to peers or learning to self-regulate behaviors.